For most DJs, cuepoints are an indispensable tool. They provide us with a visual marker of important energy changes and acts as a trigger that can instantly jump to a specific section of a song. Cuepoints open up a world of creative possibilities for DJs and this week we're going to take a look at how we can add our own cue points inside of Mixed In Key. Most of us here at Mixed In Key are DJs and Producers, so we understand how time-consuming set prep can be and we wanted to make this process as simple as possible. 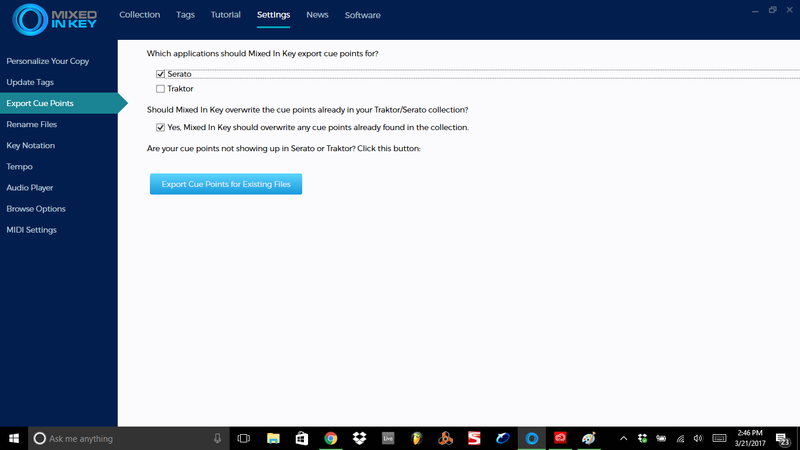 In Mixed In Key 7, we released our automatic Cuepoint functionality. This feature allows you to just drop your tracks into Mixed In Key and have your cuepoints automatically added to key energy changes in your songs. To set this up, all you have to do is open Mixed In Key, go to your settings and select "Export Cuepoints". This menu will allow you to choose which DJ software you would like to display our cuepoints (currently only Traktor and Serato are supported) and whether or not you would like Mixed In Key to overwrite any cuepoints that already exist in your current music library. Once Mixed In Key is set up, You can just drop your tracks into the program and your tracks will have up to 8 cuepoints added to them. 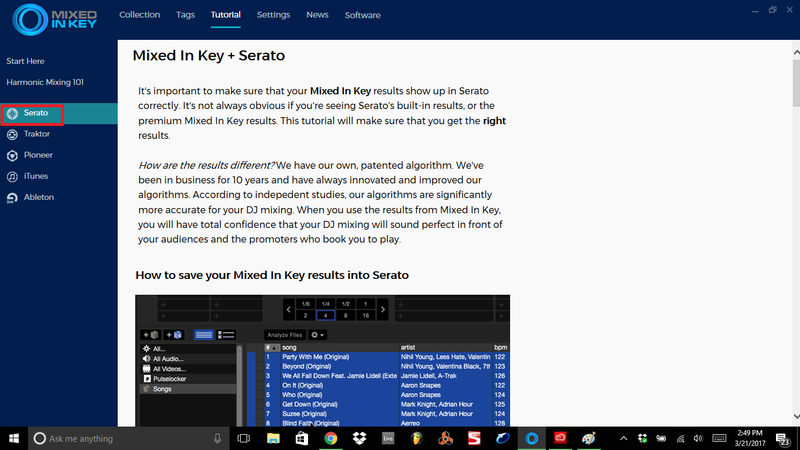 Mixed In Key also supports the manual entry of cuepoints by hand, using the Mixed In Key player. 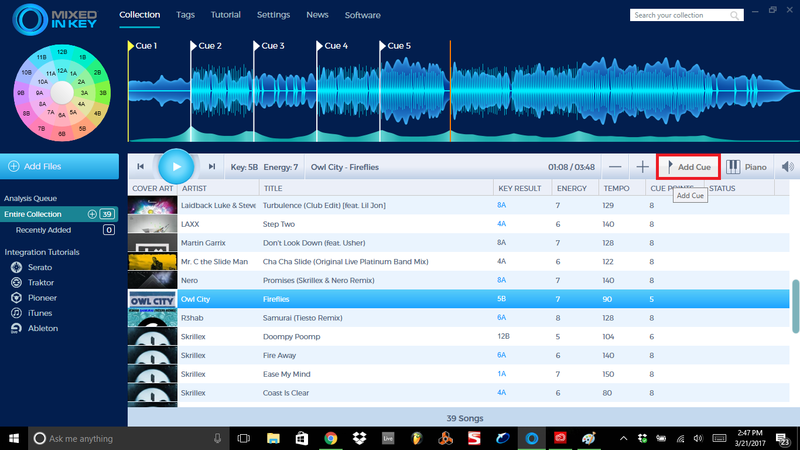 When everything is just the way you like it, add your tracks to your DJ software and refresh your music library. 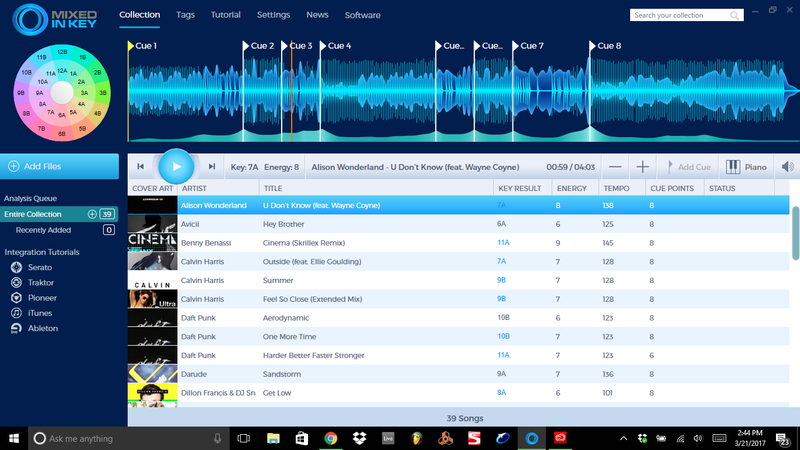 You should now be able to see and use all of your new cuepoints while playing songs in your DJ software. If you are having trouble seeing your new tags and cuepoints, please follow the instructions for synchronizing with your DJ Software found on the Left-hand side of the program. Be sure to check back again next week for new tips, and please like, comment, and share with your friends!